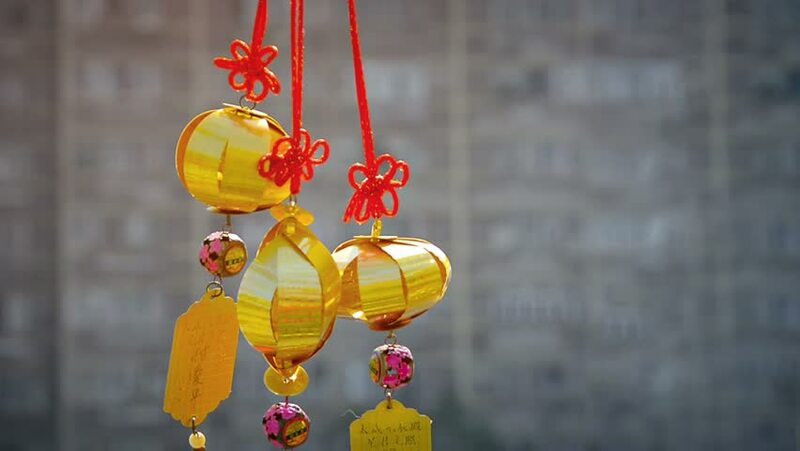 FullHD video - Three gold-colored plastic ornaments. patterned after Asian lanterns. hanging from red lanyards and plowing in a light breeze. 4k00:07CHIANG RAI-THAILAND - CIRCA - February 2017: Drone Shot International Balloon Festival Singha Park Chiang Rai on February ,2017 in Chiang Rai of Thailand. hd00:21Christmas decorations. Burning candles and toys on the background of garlands blinking. hd00:24Christmas and New Year Decoration. Hanging Baubles close up. Abstract Blurred Bokeh Holiday Background. Blinking Garland. Christmas Tree Lights Twinkling.